Top 10 Caribbean Deals: Free Nights, Upgrades, More! 1. Spirit Vacations: The U.S. Virgin Islands just got a lot more affordable, and (good news!) you don’t even need a passport to travel there. Book an airfare-inclusive vacation of four-nights or longer at participating hotels, and you can receive the fourth night free, up to $300 in airfare credit, $50 in attraction coupons, and $50 in dining coupons. You must book by October 15, and travel between April 15 and October 31. 2. Air Jamaica Vacations: Jamaica packages start at $469 (before taxes and fees) per person, and include airfare from Ft. Lauderdale (other departure cities are available) and three-nights at a participating all-inclusive resort. You must book by April 30 and travel by December 24. 3. JetBlue: The low-cost carrier is offering three-night airfare-and-hotel packages starting at $435 (before taxes and fees) per person to Puerto Plata, Dominican Republic. Plus, the participating hotels are all-inclusive, so you can save on meals, drinks, and some activities. Prices are based on travel from New York City, but other departure cities are available at higher prices. Some hotels require you book by March 31. 4. US Airways Vacations: Aruba packages start at $419 (without taxes and fees) per person departing from Boston (other departure cities are available for varying prices), and include round-trip airfare, three nights at participating hotels, and airport transfers. Each resort requires different booking and travel dates, so be sure to read the fine print when choosing a place to stay. 5. Elite Island Resorts: If Antigua is on your travel radar, Elite Island Resorts may have just sweetened the deal by offering a spring and summer blowout sale at two of its upscale properties: The Verandah Resort and Spa and the St. James’s Club and Villas. All-inclusive rooms typically start at $620 and $625 per night, respectively, but you can get the same rooms for $229 and $259 per night if you book by March 31. Rates are valid for travel through June 30 and between September 1 and October 31. 6. CheapCaribbean.com: Spring and summer airfare-inclusive vacation packages start at just $299. Book by March 30 to take advantage of deals such as three-night’s accommodations with airfare in the Bahamas starting at $299 per person, or a seven-night stay with airfare in Barbados starting at $399 per person. Plus, you’ll receive a $100 coupon if it rains during your vacation. Travel dates vary by location. 7. Travelocity: Caribbean cruises start at $179 (just $36 per night) per person departing in March or April. Departure ports vary. 8. Nassau Paradise Island: Book an airfare-and-hotel package at participating hotels before May 11 for travel through December 15, and Nassau Paradise Island will give you $200 in airfare credit. The offer isn’t available for travel April 5 through 15. Hotels include Atlantis, the Reef Atlantis, and Paradise Island Harbour Resort. Check the website of the hotel you wish to stay at for package promotions before booking. 9. 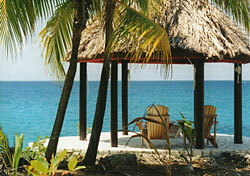 Expedia: Through April 9, you can get a free night at hotels all over the Caribbean. Whether you’re off to Puerto Rico, the Bahamas, the Dominican Republic, Jamaica, the U.S. Virgin Islands, or Aruba, you can get an extra night at the participating hotel of your choice. Each free night is based on length of stay, and varies by third-, fourth-, or fifth-night free. You must travel by May 15. However, new deals will be added April 9 for booking by May 31 and travel by June 15. 10. Delta Vacations: This “FREE4ALL” promotion will get you free nights, complimentary room upgrades, free stays for kids, and/or resort credits at participating hotels all over the Caribbean. Book by March 31 for travel between April 1 and June 30. That’s the best of the best that I’ve found, but since I know that you, my loyal readers, are also great deal hunters, I’d love to hear if you’ve uncovered your own good deals as well. Please let everyone know by posting your deals or Caribbean savings tips below. Let me help you plan your next trip, whatever your budget might be. Submit your request using the form below, and please remember that the more compelling (and specific) your question, the better the chance you’ll be selected for an upcoming case. Be sure to also include your place of origin. Editor’s Note: SmarterTravel is a member of the TripAdvisor Media Network, an operating company of Expedia, Inc. Expedia, Inc. also owns Expedia.com.